This is a book first about death. And then about life, or a life regained. As of the second chapter of this incredible memoir, Helen Macdonald's father has died, unexpectedly and too soon, as with most deaths of loved ones. A professional photographer as an adult, as a child he'd been an amateur plane spotter, watching and photographing as World War II fighters flew over England. He seemed to spend his life looking upwards, and Macdonald believes he was likely the inspiration for her own addiction to watching - in her case, birds rather than "aeroplanes." Additionally, it's a book about a goshawk, an emblem of wildness and predatory expertise, who is restrained and tamed by Macdonald. The hawk's beauty and humor are admirable, and yet as Macdonald reminds herself, her reason for being is hunting. She is, Macdonald writes, "thirty ounces of death in a feathered jacket." Helen Macdonald became fascinated with hawks and falconry as a child, reading T. H. White's "The Sword in the Stone" wherein King Arthur as the Wart takes on the form of a hawk as part of his instruction under Merlyn. And then she read White's "The Goshawk," and the seed for her possession of what is considered to be the least tamable of hawks was planted. It took her father's death and her spiral into despair to prompt her towards actual acquisition of a goshawk. She was already an accomplished falconer, and had studied and taught about this ancient and masculine sport for a few years. 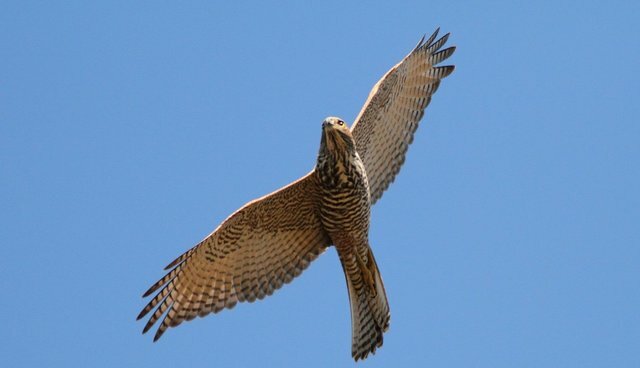 But the goshawk presented some unique problems that nearly undermined what stability she had left, as she teetered toward full-scale depression in her grief. 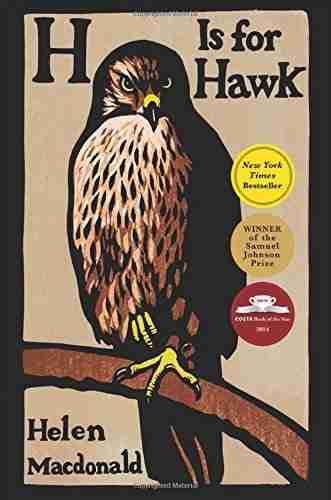 So much of this book explores T. H. White's eccentricity and the reasons behind his determination to manage the goshawk in his care, as well as his utter incapability to do just that. Macdonald's own emotional upheaval alternates with her exploration of White's life and writing in a strangely relevant spiraling dance. The result is something truly brilliant. Macdonald launches her hawk and her reader together up into a soaring feathery ride that you will not forget. A magnificent read by a poet, naturalist, philosopher, and artist.